Home care is a viable option for thousands of senior citizens, but are home care agencies using home care software or home care systems a good solution for elderly couples? Let’s paint a portrait of an aging couple, James and Betsy McTavish. They are both in their eighties and living at home. Two years ago, James had a stroke which left him less able to use the right side of his body. While he is still mentally sharp and socially active, he is a little unsteady on his feet, has trouble getting words out clearly, and using his right hand. Betsy has been helping him with some daily tasks, driving, cooking meals, and managing the household. Lately, Betsy has been losing track of time and forgetting things. After a frightening moment of confusion driving back from the store, Betsy visited a doctor and was diagnosed with Alzheimer’s disease. James and Betsy now face a tough choice that couples all over the country are facing everyday: what now? 1. Physical, mental, and emotional health of older couples are linked. It’s long been understood that there is a direct correlation between a person’s functional limitations and depression. However, a recent study by the American Psychological Association found that there is also a strong link between the health of an elderly person and the health of their spouse. The study’s primary author, Christianne Hoppmann, explains that “when people are depressed, they tend to want to stay at home, but that causes a spouse to stay home more too.” Therefore, both spouses will stop socializing and participating in activities outside the house, causing a decrease in general health for both of them. These findings are particularly profound in cases like the McTavishes where one or both spouses are undertaking caregiving roles. Caring for a loved one can be an intense and emotionally-consuming process. When these responsibilities take a toll on the emotional health of either McTavish, both of their constitutions will suffer. 2. Separating an elderly couple can be devastating for both individuals. While a married couple with care needs living together can be emotionally stressful for both spouses, the only thing worse is living apart. Even in cases where one spouse is independent, physical separation often causes a sharp decline in physical and emotional health. Not only is there suddenly a void in their life where their companion of many decades once stood, but in many cases, their dependent spouse may be preserving their health in a subtle way. Without this person present, their health deteriorates. 3. Residential facilities sometimes struggle to provide differing levels of care for senior couples. Residential facilities such as assisted living communities usually organize their services by level of care required. It can be difficult and expensive to find a placement option that will satisfy both spouses’ physical, emotional, and social needs. In the case of the McTavishes, Betsy’s Alzheimer’s will limit her placement options. Finding a place that can manage dementia and Alzheimer’s patients that will still meet James’ physical and social needs can be an involving process on top of the stress and emotional complications of leaving home. 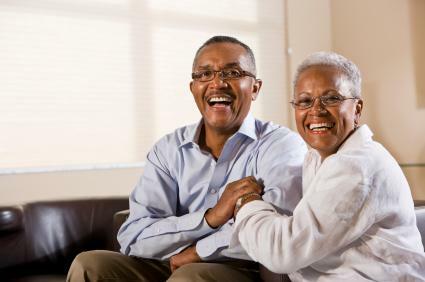 For these reasons, senior couples are considered prime candidates for home care. An experienced home care agency using leading-edge home care systems and home care software like ClearCare can simultaneously provide care for both spouses. This allows them to live at home together and takes away many of the caregiving pressures elderly couples experience. Agencies can use the client-caregiver matching features in ClearCare or other home care software or home care systems to select a caregiver that can meet the needs of both spouses. Caregivers can track an elderly couple’s care jointly and individually. Home care administrators can also use home care software and home care systems to observe the progress of the couple and easily discuss their care plans with them, their family, and their caregivers. For an aging couple that is struggling to care for one another, home care is a great option. Using home care systems and home care software, couples can stay happy, healthy, and together.